Everyone told me before I went a scan would change everything, but nothing could prepare me for how surreal seeing that real-living little person moving around inside me would be. I am 26 weeks pregnant (or there-about), yet I still haven't had a scan. I only discovered my pregnancy two weeks ago, and on the NHS everything seem's to be lagging. I was scanned at a clinic, but wasn't allowed to see the screen, and this was simply to get a measure of the baby. Through frustration, impatience finally got to myself and Jordan, and we looked into a private Gender Scan. 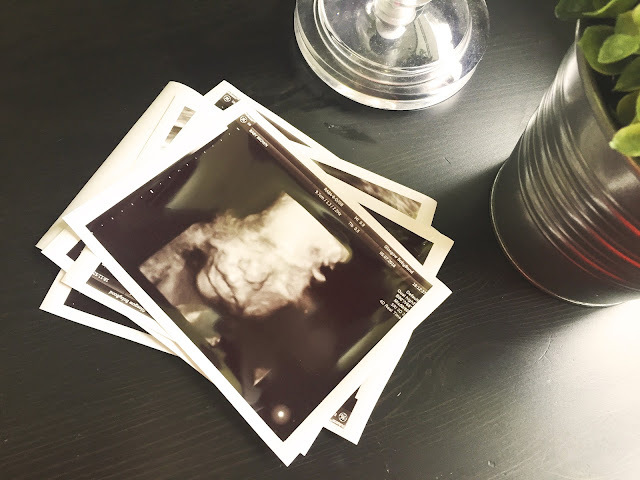 A quick google search led us to Baby Bond Scans, which on first appearance was a comprehensive and professional service, offering every type of scan you could possibly want. A justGENDER scan was discounted at the time to £39, and with that, we were pretty much sold. The booking system was simple enough, a form online, tick a few boxes, hey-ho, sorted. We booked around 9pm on Monday for the following afternoon, and everything went without a hitch. There are scanning clinics across the UK, and this made it very convenient for us. On arrival at Park Circus Scanning Clinic in the West End of Glasgow, I signed a declaration, and that was the extent of the paperwork. The clinic was situated in an old grand building, and everything felt clean yet warm and inviting. Our ultrasound technician spent 20 minutes showing us as much as she could of our baby, describing each and every thing of note, and she made the experience one to remember. I could not recommend a Baby Bond scan enough - for the money paid and the experience we received, overall it was perfect. Looks like Jordan will get his footballer after all!